We left Lima Airport for Tarapoto, our launch point into the Amazon jungle and the cocoa growers of San Martin Province in the San Martin Region of Peru. I didn’t know what to expect, but knew we’d be in good hands under the care of Cristina Santillana, International Sales Manager for La Orquidea Chocolate, a division of Industrias Mayo in Tarapoto — just over an hour northeast by air, but truly a world away from the cosmopolitan sophistication of Lima. 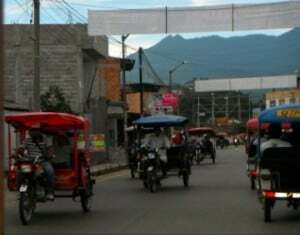 Though Tarapoto is a relatively small city of 63,500, the traffic is crazy! But not with automobiles. The motorcycle is king, and from it has spawned the Motokar, a motorcycle cab that can seat up to three (cramped) people. We had loads of fun being jetted around town in the motokars. Motokars are king in Tarapoto. From Tarapoto, we took a two-hour cab ride to Juanjui, the port on the Huayabamba River that would get us by a small motorized boat via a four-hour journey over numerous rapids to the Santa Rosa Asociacion de Productores Agropecuarios, the cacao growers who had agreed to host us and show us how they grow, harvest and ferment their cacao. Riding up the Huayabamba River to the Santa Rosa Cocoa Growers Cooperative. The Huayabamba is a tributary of the Amazon that would take us a world away from modern civilization to a world of simple farming where everything is done by hand and electricity is limited to brief spurts of power from a small generator. But they did have a shower and a flush toilet we were very pleased to see. 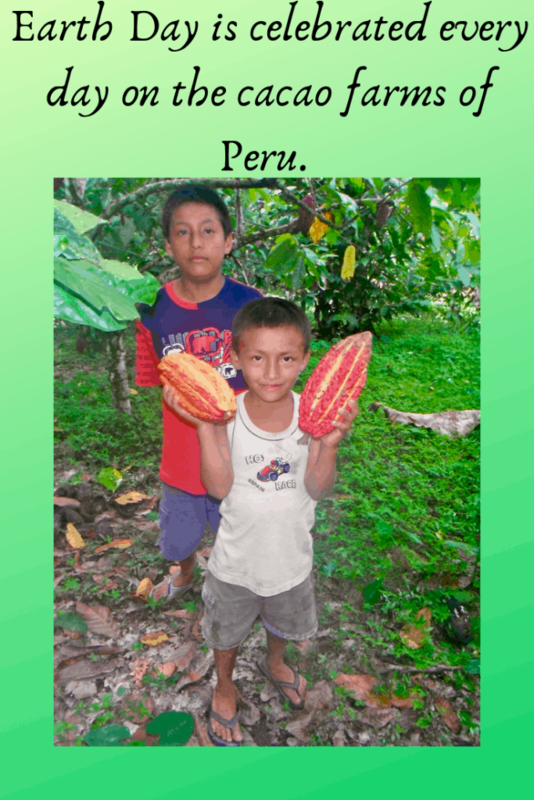 Harvesting the cocoa pods is a family affair in Peru. What an experience we were fortunate to have! We learned how the farmers’ families hand pick the ripened cocoa pods, open them in the fields and remove the cocoa beans from the placenta (the white goop I referred to in this post.) The beans are then fermented, dried and eventually roasted, peeled and crushed before beginning the process that leads them to becoming chocolate. This was the whole purpose of my trip to South America as research for Chocolatour — to see how cocoa is grown and appreciate the labour intensive process of creating the luscious elixir that we have all come to know and love. The cacao primarily grown by this cooperative at the time of my visit was the CCN51 variety. They also grow some Criollo and a hybrid 96 variety. It is not the very best cacao Peru has to offer, but it is a variety that is more resistant to disease, making it somewhat easier to grow and thereby increasing the sustainability of the cocoa and providing a more stable income for the families. We saw great pride among the farmers and their families. We saw tremendous cooperation among them and we saw a vision for the future in which they will welcome visitors to come and stay in their soon-to-be-built lodge in the botanical garden that they have been planting and nurturing. I look forward to visiting again in a few years, and seeing their dreams become reality. I welcome your comments on Peru as we celebrate Earth Day and the strength of the Peruvian cocoa farmers. I glad to see that you had a shower and a flush toilet. In the long run, those things are more important that constant electricity, don’t you think? While you are in Peru are you planning to take a side trip to the hidden mountain valley of the MaraÃ±Ã³n River where several pure Nacional cacao trees were discovered in 2009. I understand that their white beans are very rare. I remember reading about the find. It was, evidently a big deal in the chocolate world. Will you be visiting that area? Hi Kay: Thanks for joining us on the Chocolatour. No, I’m already back in Canada. This blog is a reflective process vs a diary on the fly. We were a 10-hour bus ride from the area you are speaking of, but we did eat the Nacional beans. Peruvian chocolate is truly divine because it has a naturally higher fat content and is therefore silkier, richer and smoother in its natural state than any other chocolate you may have tasted. Other chocolate has to go thru a much longer conching process to get that smooth and silky. The Peruvian is a natural. Stay tuned for more! Well I am big time passionate about Peru and very much about stablishing a relationship between peru and the rest of the world . I was born in this fascinating historical, mystical and exotic peace of land. I am planning, learnning what is necessary to export peruvian product sharing with peaple every thing is posible to make this dream come thrue. in this project to be able to make money traveling and having fun. I have got US and Peruvian citizenship I am enjoying my life. I will be glad to welcome you to be part of this jorney,please contact me. Thank you for your comment, Dorian. Yes, Peru is quite an amazing country. What is the product you are trying to export? I am a big funn of peruvian historical fascinated, exotical and mistical culture. 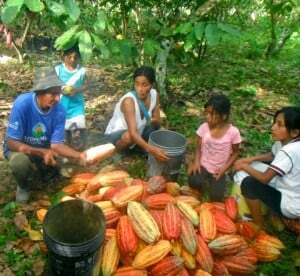 I am learnning in Tarapoto every thing is possible about cofe cacao and other natural product to commercialize them to the rest of the world . I am looking for passione business peaple to invest with us in this very profitible internal business. I will be glad to welcome you all to be part of this possible dream, where we will make money traveling the world having amazing expeariances. I envy you. I hope I can see the entire cacao growing process with my own eyes. Don’t be envious, Edwin! Enjoy the journey with me. And we’ll get much more in depth of the growing process in my book, Chocolatour. Stay tuned! Glad to have you along for the ride. Interesting article Doreeen. Personally associate cocoa with Africa. Ghana for instance. Had no idea cocoa was grown in Peru. But then again, if I had ever given it a thought maybe I would have figured it out (?). The interesting aspect about where cocoa is grown is that the government of Ghana talked to me a lot about cocoa beans. But the Peruvian government never mentioned it. Wonder why. Interesting photo of harvesting the cocoa pods. Have to admit I had no idea how it was done. Isn’t it amazing the amount of people who eat chocolate every day and have no idea what a cocoa pod looks like. But now some of us, thanks to you, do. Not that I eat a lot of chocolate, but still. Hi Catarina: Indeed, I think Ghana & West Africa grows about 70% of the world’s cocoa crop. But for the most part, it is of a lesser quality than the fine, aromatic cocoa that you will find growing in South America. Most of the commercial grade chocolate (Mars, Cadbury, Hershey) make chocolate made from African beans. It is only in the past few years that Peru has begun to grow more cacao and produce more cocoa. What used to be coca plantations are now cacao plantations! The US has helped with funding the move to changeover. So it is all quite new. And yes, I think most people never think about where the cocoa comes from that is used to make their chocolate. That’s why I’ve got a chapter in my book about it. There will be lots more detail given there. Fun stories about your trip. Look forward to the next ones. Thanks, Scott. Chocolate is such a fascinating topic and is something that the whole world loves. I feel so fortunate to be able to share the stories here, and soon … in my book! For me, the most interesting part of that leg, other than the wildly beautiful boat ride up the jungle river, was sharing the Peruvian chocolate made by SOMA in Toronto with the Peruvian cocoa farmers (though the chocolate was made from beans grown further south). They, in turn, gave us their beans to take back to SOMA. I was afraid they would take issue with the incredible mark-up that occurs from bean to bar, but that did not seem to be the case. They just seemed proud that Peruvian cocoa was making a splash on the world stage. Thanks to Cristina for being our patient shepherd and friend. Yes, I really felt the pride among the Peruvian people — everywhere we went — but particularly on the farm, where they were surprised and pleased at our interest in everything about their world. It was indeed cool to bring them SOMA chocolate made with Peruvian beans, and in turn, to bring SOMA the beans grown in Santa Rosa. What goes around comes around. What an adventure. It must have been beyond what your words could really convey in your article. I would have loved to have it seen through your eyes as you were experienced it all. (Bugs, humidity and all). I know that your book will be an amazing story filled with all that had you experienced. Thanks for dropping by the blog, Susan. Yes, you can be sure there will be more delicious details to the stories when I write them for the book. 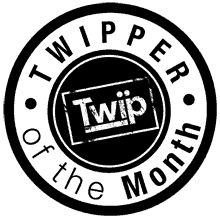 For the blog, it’s just a brief diary of the experiences. 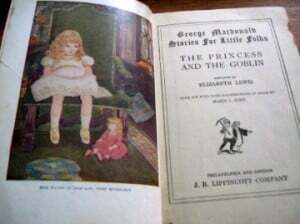 For the book, we will get much more into the stories. Thanks for your interest, and stay tuned! As a Peruvian Chocolatier and a Cacao lover i am, i can tell that Tarapoto is wonderfull! !The landscapes are so magical and you can apreciate only natural beauty.The typical food you have there is: ‘Tacacho and cecina’ wich is like smashed bananas with salt and smoky pork, also the famous ‘Juane’, wich is a Delicia made with rice and chicken in a tamale style and Paiche wich is a jungle fish very popular there.Now by the other hand the transportation is called ‘Mototaxis’ wich are a fuzion between a moto and a taxi and are very fun.All the people use this transport and even girls now how to use a motorcycle to go to their jobs! !And finally the Cacao that grows there is one of my favourite’s wich have a prunes and raisins aroma when you taste it in a chocolate bar.Simply a Junglycious experience! How wonderful it is to have you join the conversation, Giorgio! I really loved meeting you and your mother, and eating your lovely chocolate creations. That will be covered in a future blog. It’s interesting to hear you share your love of Tarapoto with us. Yes, when I talk about Orquidea next time, I will post a lovely picture of the view from their factory. Even the workplaces are as you say … magical. 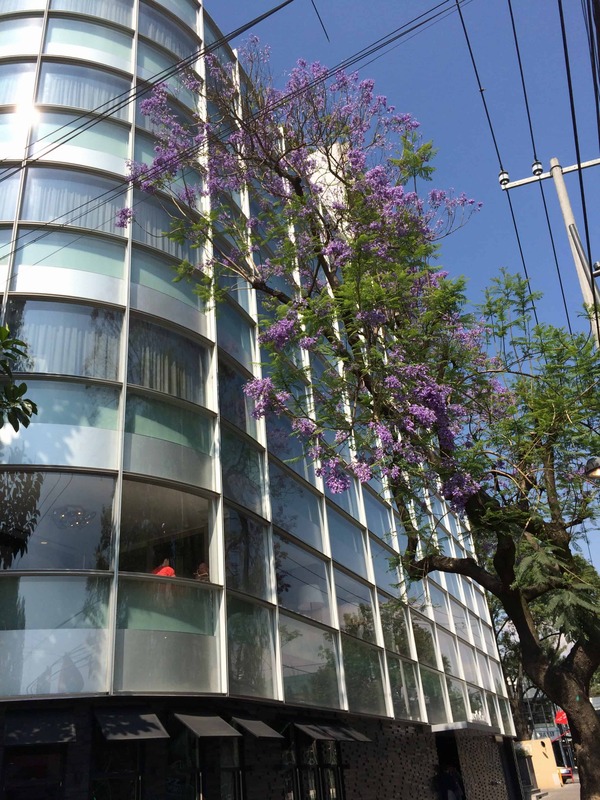 I can see why Cristina chooses to have a place there as well as in Lima. Ye, we definitely ate the Paiche and quite a few other dishes, and lots of potatoes! You Peruvians certainly like your potatoes! And rice. But it was all good. Especially the chocolate … which I will talk about in the next post. I hope you will return then. I admire your lust for adventure, Doreen. Aren’t you lucky that you get to visit all these countries. You are my travel guide! Thanks so much, Jeannette. It’s great having you along for the ride! 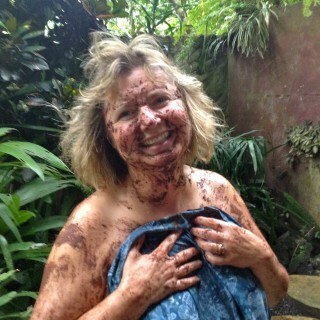 I love your chocolate journey through the jungle! My next trip to Peru will have to include a trip to the jungle since that is the only area I didn’t get to and I met a wonderful Peruvian friend in the desert who was the grandson of a jungle shaman. His stories of the jungle were fascinating. Thanks for joining us here, Orla. Yes, I’ve definitely learned that one visit to Peru is NOT enough! I didn’t get to Cusco and the Chocolate Museum, nor to Machu Picchu as there had been very heavy rains in the area and the roads were closed. We had to get to Ecuador on a certain date and couldn’t take the chance of being stuck there. I do hope to get back to Peru, as I hear they have a Salon du Chocolat in Lima and one visit to Lima is definitely not enough! When I was growing up in southern part of India, Coco planting was popular. My father had a few plants too. We just opened the ripped fruit and sold them with the flesh. No one really knew how it became chocolate though. I am glad to know that there is fermentation, drying and roasting of the seeds before it become the sweet delicious stuff. I would love to know the details of the process. wish you give more details and pictures. Thanks for the nice post. Love it. I will definitely be giving more detail in my book, so please stay tuned for details on that. And yes, I’ve heard that India does grow some cocoa and will try and get over there for the 3rd edition of my book, which will cover that part of the world. I still haven’t tried any Indian chocolate though. I imagine there are some artisanal chocolatiers and chocolate makers there who will eventually present themselves to me. What an amazing trip Doreen. I had never heard of a Motokar before. I’ve never seen a picture of a cocoa pod either. It’s wonderful that you’re sharing this with us. Thanks, Sherryl, and you’re welcome! 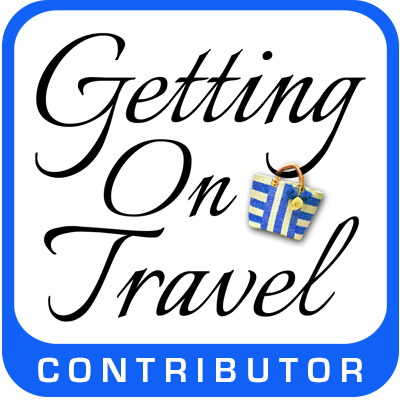 I’m loving writing about my chocolate travels and am thrilled that the readers are enjoying the journey. Lots more great South American travels to follow, so stay tuned! It was wonderful having you here in Peru Doreen, and you are right about one visit not being enough! For those interested in traveling, there is such a variety in geography and biodiversity. The natural beauty alone is stunning, not to mention the education one receives with regard to culture, environment, and, in this case, agriculture. The origins of cocoa are actually said to be from the high Peruvian Amazon. From here it was taken north, to Mexico and…well, the rest is history! Cocoa has been exported as a raw material for many years. Production has grown as it has become a legitimate sustainable alternative for farmers who were once dependent on coca farming. As much as 25,000 acres of farming land has been converted over the last 10 years. For Peru, cocoa has had a very positive impact, socially as well as environmentally. Many of these farmers participate in reforestation projects and agroforestry within their farms. The Salon de Cacao y Chocolate (July 4th-8th) will be our third annual fair. Chocolate is definitely all the rage here these days! The event is truly a wonderful affair in that it brings together farmers as well as chefs, chocolatiers, and chocolate lovers, all under the same roof. Hope you can make it this year Doreen! It would be great to have you back for another adventure! Thanks so much for joining the conversation, Cristina — and for the invitation! I would indeed love to return to Peru, but don’t know if I can manage it so soon! I must get to writing my book, and I do have a couple of domestic trips planned within Canada. Hopefully, sometime soon, I will return, discover more of your wonderful country and see you again. Stay tuned to the next post on the blog, as I will be talking about Orquidea Chocolate! What a great adventure! I would have loved to travel with you. I, for one, feel alive in nature. Well I hate crawlers (spiders in particular! ), but as long as there are a shower and toilet, I am good. What was your favorite moment of the whole experience, Doreen? Hi Cendrine and thanks for visiting the blog. I hade many favourite moments from our trip to South Am. If you’re asking me of my fav moment from this particular segment of the trip, it would have to be the cab ride from Tarapoto to the port where we caught the small boat that took us to the jungle. The cab driver on that journey was named Umberto (“Berto” for short!) and he was playing this wonderful Peruvian music in the cab. I liked it so much he gave me the CD! How often does that happen??? And the scenery was lovely on that journey as well, so it was a perfect day. Stay tuned to the blog for more fav moments of the events I’ll disclose in future posts. Wow, you must have felt special! Looks like you made special connections there. This reminds me of my trip to Syria. It was a magical experience! Especially the desert! Syria! Wow! I’ve never been. Did you write about it? I loved my trip to the UAE. The desert really IS magical! Am looking to try the camel’s milk chocolate (I wasn’t researching chocolate when I was there so it escaped me) so maybe a return visit will be in order. Cheers! I have decided that in my next life I am going to become a Chocolatier, travel to such places as Peru, meet the people, experience how these wonderful people farm the cocoa and on and on it goes. I hope you realize that you are living a chocolate lovers dream come true and I am so happy for you. I’m looking forward to reading more on your travel and I love the wording of your friend Giorgio.. a Junglycious experience. Thanks so much, Diane! It’s wonderful having you along for the journey! You are very welcome, but it is I who should be thanking you as you have opened up a new world to me and that is always cool! 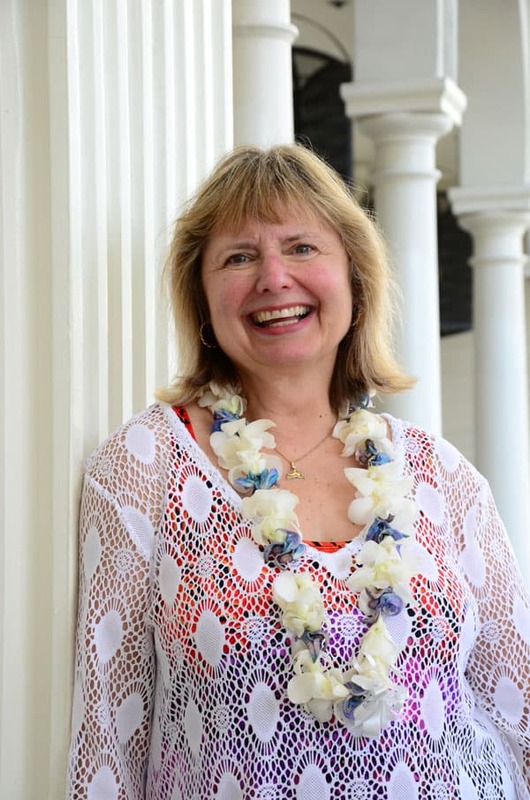 Diane ( Blogneta) recently posted…A Book Launch Experience! My dear, Diane: As they say … it’s a dirty job (and it literally was, as we were up to our knees in mud on occasion in the jungle!) but I’m glad to be doing it! And so glad that you’re enjoying the recap and info I can provide. Stay tuned for lots more tasty journeys! Love to read about all your travels around the world. I haven’t even heard of these places you are going to. A person would never imagine all the preparation that goes into making chocolate, those pods were huge. The Motokars look like an adventure in itself. Hi Debbie, and thanks so much for joining the conversation. I’m glad you’re enjoying the journey with me. Yes, it was sure quite the adventure! Educational, fun, a bit scary, and certainly memorable. I’ll make your mouth water next week with more Peruvian pics … of chocolate and other temptations. This is a journey made in heaven! How wonderful you got to see the beginnings of the decadence we all delight in from time to time. Love those motokars too!! How was the trip on the Amazon tributary? Any large predators?? ; ) Sounds like you had a glorious time and so glad you did! Thanks for joining us on the blog, Jeff. 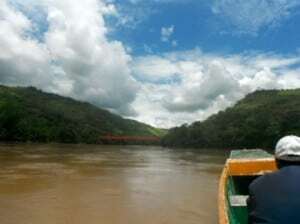 We were actually on 2 Amazon tributaries: the Huayabamba in Peru, and the Napo in Ecuador. Alas, we didn’t see any big wildlife there, and I was surprised that there weren’t quite as many birds as I would have expected. But it was a glorious trip nonetheless. I hope you’ll drop in again next week when we continue to discover Peru. We visited Lima earlier this year while on a cruise and fell in love with Peruvian cooking. If I had only known about the chocolate! Can’t wait to read about your tasting! Right on, Irene! Peruvian cuisine is second to none and really taking the world by surprise! We had some totally amazing meals in Lima. Stay tuned for that in future posts. And yes, the chocolate … divine! In Peru, you can travel through ancient ruins, trek the Inca Trail, hike through the Amazon rainforest and explore the lost city of Machu Picchu. Absolutely, Patricia! We were told that Peru has 24 of the world’s 38 climate regions, so you really can see diversity in the scenery, flora and fauna. And the history … amazing! I’ve definitely got to get back, but at least we saw and did a lot in the week we were there. More to come! I hope that one day, I can also see their chocolate farming with my own eyes. 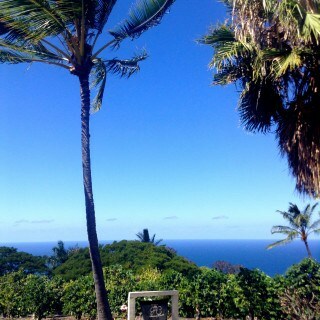 It has been a dream of me to follow the trail from the farms up to heavenly chocolate concoctions we all love. You’re in the right place, Gemma! That’s exactly what I’ll be doing with Chocolatour. You may want to subscribe to my sister site at http://chocolatour.net/ as this is where I’ll be posting info about upcoming chocolate tours, events and launching of the book as time goes by. 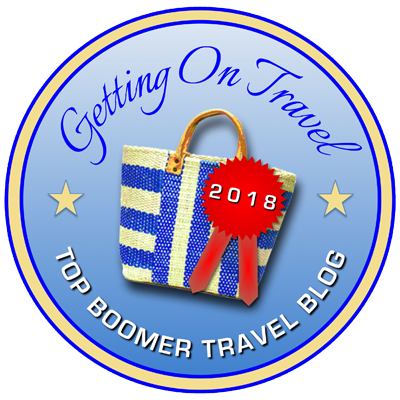 And or course, we’d love to have you subscribe to this blog as well, as I’ll be detailing my chocolate travels here, with a visit to a cocoa plantation in Ecuador that features a jungle lodge a few posts down the line! Hi Doreen, what a wonderful experience it sounds like you had. And what a privilege to have stayed with the cacao growers. It’s interesting you are writing a book on the process of chocolate. I too had never heard of a motokar. It’s experiences like those which make travelling so much fun. Right on, Bethany! Travel is filled with so many unexpected pleasures! Thank you for the information. I’m studying for chocolatier. Next year I will graduate 🙂 and hope 2 bring pleasure to you all ! Then I have something that you are missing… You really, really, really have to taste the chocolates of Dominique Persoone (www.thechocolateline.be). He makes fabulous belgian chocolates with extraordinary tastes ! Chocolates with coca cola, with bacon, with fried onions, … He is our Shock-o-latier and rocks/shocks his and our world ! Thank you very much, Inge, for finding my blog! It’s too bad that I hadn’t heard of Dominique when I visited Belgium in 2009. His chocolates do look amazing. Thanks for the lead. I’m afraid I don’t have any contact in Cucsco, as our visit there had to be cancelled due to mudslides. But I’m sure if you contact the Chocolate Museum in Cusco, they would be able to put you in touch with a cacao grower. We had an amazing experience staying with the cocoa farmers in San Martin. You can read about it at this post: the-growing-of-cacao-in-peru/. There will much more about the visit and what we learned in my book, Chocolatour. Stay tuned for that! Lovely article! I really value writers like you who get out and report on reality and look beyond brands. Well done! Thanks, Alyssa. That means a lot coming from a chocolate expert like you! 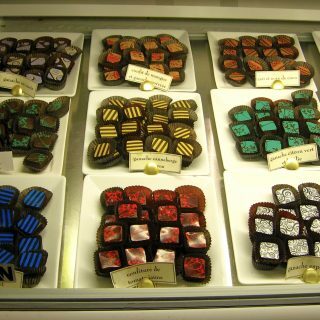 I hope you’ll stay tuned to the blog as I’ll be sharing many more delicious stories of chocolate discovery. Hi Doreen! My boyfriend and I really interested in making some contacts in Tarapoto, (where he is right now) and would love to be in touch with those you visiting in the cocoa growing industry to see what possibilities there are for exporting to Canada.. …I live in Stoon! Any information or contacts you can send us would be great! Thanks! Love you blog, btw!!! 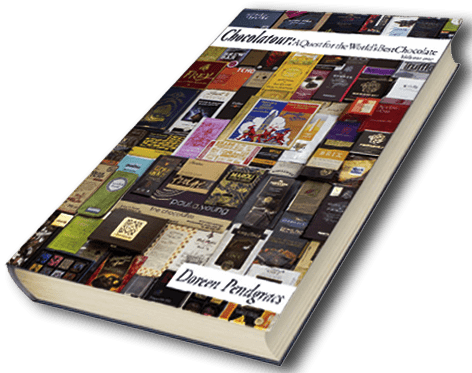 Hi Fran: If you are looking for contacts in Tarapoto and the cocoa growing industry, the best person to contact is Cristina Santillana who works at the Orquidea Chocolate Company. Their factory is right in Tarapoto and they make wonderful chocolate bars. More at this post: orquidea-chocolate-a-taste-setting-as-beautiful-as-its-namesake/ and you will find Cristina in the comments section of that post in addition to the URL for her new site. Hi Doreen! 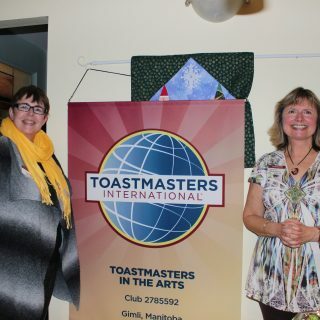 Good to hear about your time in Tarapoto and the surrounding area. I’ve been living in Tarapoto for almost five years — I love the chocolate and the coffee. Another place in town that’s well worth a visit is the Tabacalera del Oriente cigar factory. I don’t smoke cigars, but it’s fascinating to see the drying and hand rolling process (in the same way as watching the process at the Orquidea plant). Anyway, I just wanted to say hello, really! Thanks for the suggestion, Tony. We did visit a cigar factory in Dominican Republic and found it very interesting indeed. I’ve added the link to your Tarapoto blog in the post about Orquidea. It looks like you’ve got some amazing info there. Hi Doreen I’m glad you visit my country Peru I can tell you that there is a lot to see in Peru you can visit the South Arequipa there is a store name it La Ibérica they make the best chocolates and candies from the country,you can go to the restaurants name it picanterias they make the best dishes ,papa a la huamcaina,lomo saltado,pastel de papa,if you like spicy food you can ask for rocoto relleno.you are going to eat the biggest srimps from the world ask for chupe de camarones. You can visit the beautiful catholic church’s in the city and ask for canon del kolca, el mirador de yanahuara,el convento de Santa Catalina , fundo El fierro you are going to find artesanía and souvenirs .If you plan to go to Arequipa and need information just let me know I’ll be happy to give you any feed back. Thanks very much for your comment, Erica. I don’t have plans to revisit Peru at the moment. But when I do, I’ll try and get to Arequipa and La Ibérica shop where you discovered wonderful Peruvian chocolate. I truly love chocolate made from Peruvian cocoa. Doreen Pendgracs recently posted…why Branson?